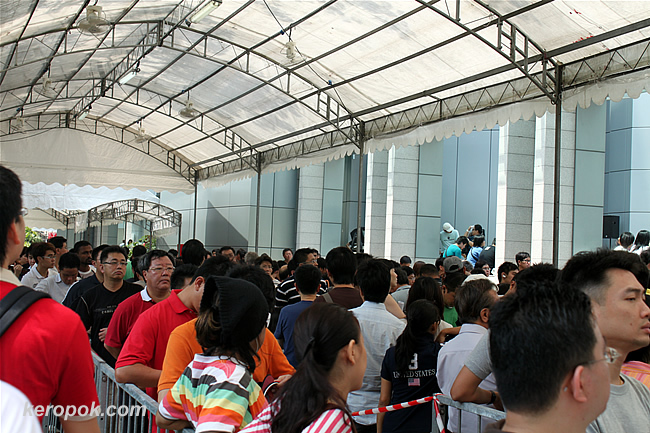 The queue at Singtel Comcenter yesterday. 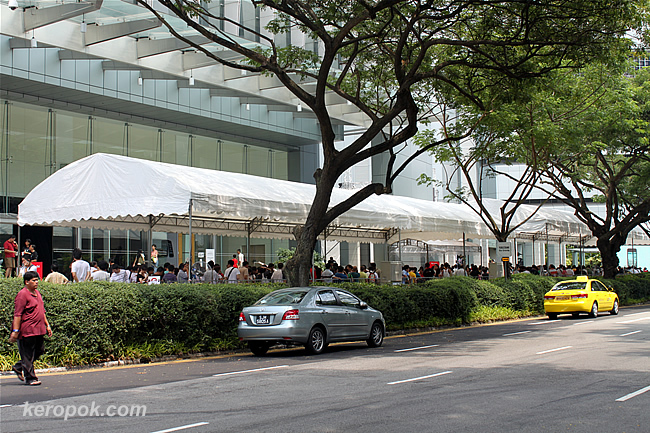 The 3rd day of the launched of the Apple iPhone 3GS in Singapore and there's still a lot of people queuing for it. They really have the patience. This photo was taken at 12:37 PM. These people most probably queued from 10 AM. They will finally get their phone at around 2 PM. Sources said they were fed 3 kinds of cheese crackers to keep them happy. Some people here still look very excited, some are visibly very tired. Why didn't they give people apples to eat while they were waiting for Apple phones? Good crowd captures! Wow. So did you get one? I guess these people didn't hear about the over heating problem.